Ed. note: We wanted to share this moving eulogy delivered by Ed Mullins, president of the NYPD Sergeants Benevolent Association, at the funeral for Sgt. 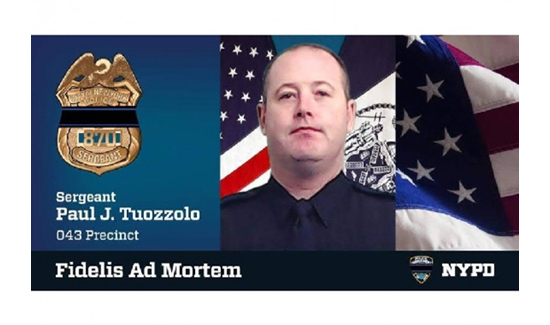 Paul Tuozzolo, who was killed in the line of duty saving the life of his partner, Sergeant Manny Kwo. If you find yourself having to eulogize one of your members who was killed in the line of duty, Mullins’s eulogy may give you some ideas. We were particularly impressed with the way Ed spoke directly to Sgt. Tuozzolo’s wife and two children during the service. This is beautiful. RIP Officer. God will promote you. Right to heaven.